Greg Forbes join us to speak on The Anti-Vaccination Movement; replacing Science with Superstition and Conspiracy Theory. More than 2 centuries have passed since the first vaccines were used to prevent disease and the disabilities and death associated with these diseases. However, even after the prevention of many millions of deaths, vaccine skeptics and vaccine conspiracy theories appear to be increasing in frequency even in the light of a preponderance of scientific fact validating the efficacy and safety of vaccines. Dr. Gregory Forbes has a broad education in the biological sciences earning a B.S. in Wildlife and Natural Resources Management, and a M.S. in Biological Sciences from California Polytechnic University, and a PhD from the Department of Zoology and also the Department of Tropical Environmental Studies at James Cook University in Australia. Dr. Forbes also holds professional certification as a Certified Wildlife Biologist. Dr. Forbes is a Professor of Biological Sciences at Grand Rapids Community College where he also served as the Director of its Science Education Center and currently serves as the course coordinator for the majors human anatomy and physiology program.  Dr. Forbes served as the Education Director for the Michigan Evolution Education Initiative, a state-wide initiative designed to help teachers to effectively teach evolution. He also served as the Director of the Institute for Evolution Education, an initiative that expands the Michigan project nationally. Dr. Forbes served as the National Course Director for the National Science Foundation’s Chautauqua course on evolution and evolution education for college and university professors and he is the Evolution Education Specialist for the 4,000 member Michigan Science Teachers Association. Dr. Forbes has 30 years of university and college instructional experience. His instructional and curricular development work has included the development of 24 college and university courses in both the biological and physical sciences at four institutions as well as instruction of wide diversity of courses such as zoology, natural resources management, geology, majors biology, tropical ecology, marine biology and human anatomy and physiology. In 2004 Dr. Forbes was awarded the Michigan Science Teachers Association highest award, College & University Science Teacher of the Year. In 2005, Greg was selected as the Civil Libertarian of the Year by the Michigan ACLU for his work in defending the integrity of science education against attempts to introduce non-scientific ideologies into the public classroom. He was also selected as the 2006 Freethinker of the Year by the Freethought Association (now CFI–Michigan) in recognition of his efforts to promote freethought and in consideration of his work in the legislative arena to safeguard the teaching of science in public classrooms. Dr. Forbes has instructed field courses in or studied the natural history and geology of many locales such as Brazil, Ecuador, Costa Rica, Kenya, Tanzania, Nicaragua, Jamaica, Mexico, Australia, New Zealand, Hawaii, Fiji, the Galapagos Islands and the Society Islands. His research interests focused upon the evolution of the diet and feeding ecology in vertebrates with his most recent research focused upon the evolution of diet selection in endangered green sea turtles. Since 1993, Dr. Forbes has served as an Editorial Board member for Skeptic Magazine, an international publication promoting a scientific approach to addressing social, philosophical, and scientific issues with a significant emphasis upon evolutionary thought, education, and inquiry. He once authored a regular column in the Michigan Science Teachers Association’s Journal entitled “Natural Selections; Essays on Evolution and the Nature of Science”. Dr. Forbes has been a featured or keynote speaker at many dozens of scientific and educational conferences. He is also a founding member and current Board member of the Michigan Citizens for Science, a citizens group that works to ensure quality science education in the public classroom. Dr. Forbes works with local conservation organizations including serving as past Executive Board Member of the West Michigan Sierra Club. During his spare time, Dr. Forbes also operates Natural Selections Natural History Expeditions, an expedition company that takes groups of adventurers to study the natural history of Kenya, Tanzania, Australia, the Galapagos and the Amazon. For recreation, Greg enjoys flying his plane, flying search and rescue for the Civil Air Patrol and whitewater paddling.